Chances are if you follow fitness trends, or you’ve picked up a magazine in the past year or two, you’ve heard of HIIT Training. HIIT stands for high-intensity interval training and it’s been steadily gaining momentum on the fitness scene for a couple of years now according to Walter R. Thompson, a research physiologist at Georgia State University and president of the ACSM. So why is HIIT so popular? Well, “it works,” says Dr. Robert Sallis, a family and sports medicine physician with Kaiser Permanente Medical Center, in Fontana, Calif. The body’s response to that is to function more efficiently, he says, so it allows us to get into shape quicker than moderate-intensity exercise. HIIT workouts are typically no more than 30-minutes long, because of the higher intensity level they don’t need to be, and can be more effective than steady-state workouts twice as long or longer. Even better, HIIT workouts trigger something called the afterburn effect. The afterburn effect is technically excess post-exercise oxygen consumption (also referred to as EPOC). Several studies indicate that the intensity level of your workout can trigger EPOC, causing your body to burn a higher number of calories following exercise. Exactly how effective the afterburn effect is has been hotly debated in the fitness industry, but one thing that can’t be debated is the success rates of people who turn to HIIT training to get real results, real fast. Examples of people who’ve used HIIT to change their bodies are as easy to come by as a quick google search, like Lauren who lost 65 pounds thanks to the exercise trend. Some people pay for expensive boutique fitness classes to get their HIIT fix, but fortunately, you don’t have to shell out big bucks for HIIT training. 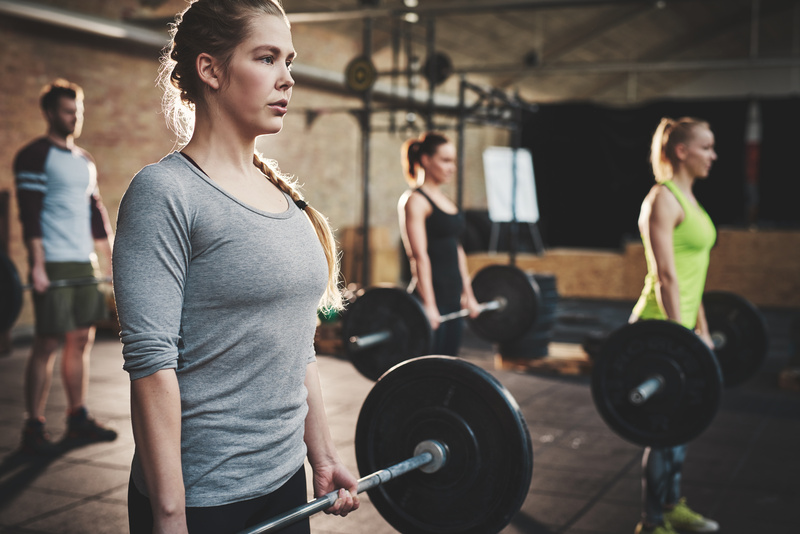 The most common strategy for designing a HIIT workout is to choose exercises that work large muscle groups, and preferably multiple muscle groups at the same time, says Lauren Usherwood, a Certified Personal Trainer at Elevate Fitness in Liverpool, NY. You take those exercises and you put them into a sequence where you’re performing an exercise for 30-45 seconds followed by a rest period of 15-30 seconds and then moving on to the next exercise, she says. A workout might involve a single circuit through those exercises or multiple circuits depending on the number of exercises you’re using and the length of the workout you’re designing. So, let’s say you like what you hear and you want to give HIIT training a go? Where to start? Well, you can easily search the internet for some simple HIIT workouts you can do on your own. You can try out an Afterburn class at Elevate Fitness (included with many membership types, check out Dewitt’s schedule here and Liverpool’s over here) or you can have a trainer design a HIIT workout specific to your goals. So will you be trying HIIT training? Or do you have your eyes on another fitness trend in 2018? Tag us on Facebook, Instagram or Twitter and let us know what trends you’re excited to try! And check out Jason’s Kettlebell HIIT Workout while you’re at it! Not a member yet? Try out Elevate Fitness for FREE!